RUBY’S NYC . We started the day off here for Brunch! Definitely a cute spot! Keep in mind you will probably have to wait a little as they are usually busy and don’t take reservations! We waited 45 minutes, but it was totally worth it. Pro tip- Arrive before 12:00 pm to beat the crowd, or put your name in and grab a drink down the street while you wait. Gilligan’s, SOHO Grand NYC. We grabbed cocktails here after. 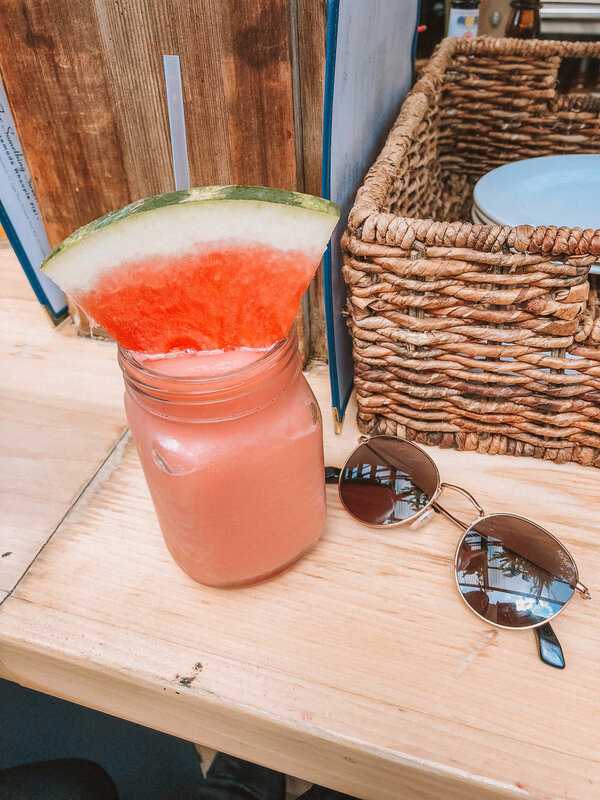 The decor is super cute and we were swooning over our Frozen Watermelon Margs! YUM! 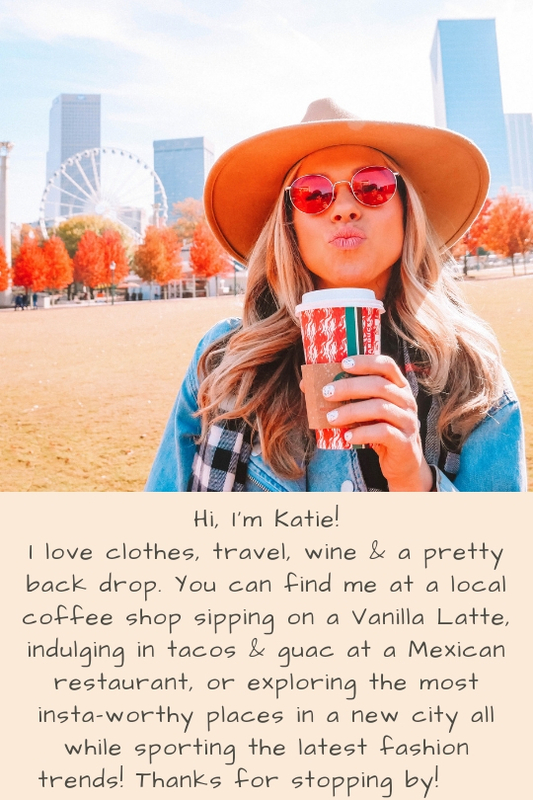 I also hear the food is really good too! Gitano NYC. 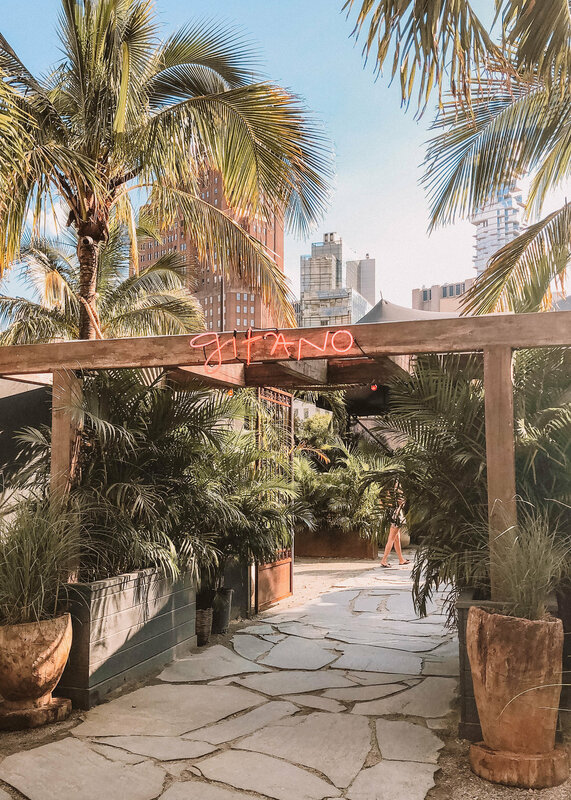 Where Tulum meets NYC! 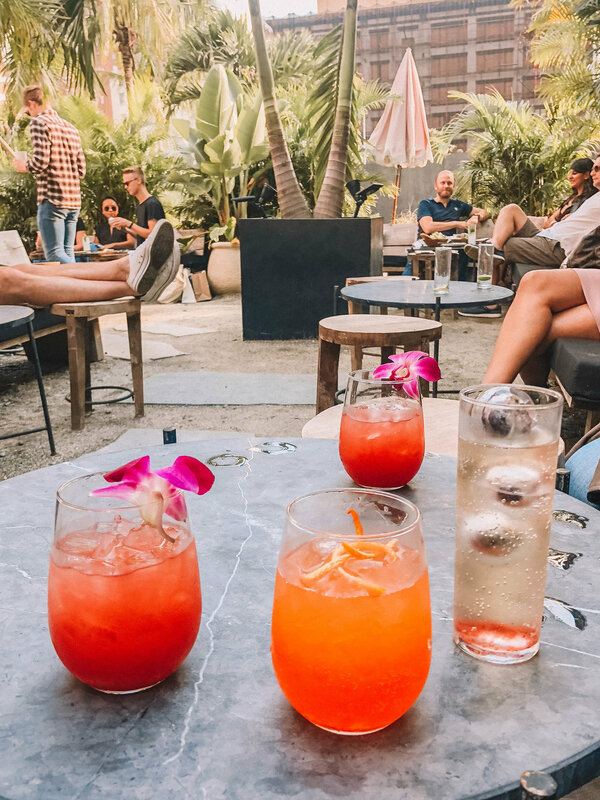 Seriously though, this bar/restaurant actually exists in Tulum and they opened a pop up in NYC! It’s literally in the middle of Soho. As you walk up the outside can be deceiving and may have you questioning your choice, but trust me once you walk through the entrance you’re transported right to Mexico! The drinks are so pretty too!! Pro Tip- the kitchen closes late in the afternoon and re-opens at 5:00! Gitano NYC. See told you the drinks were pretty!! Tacocina, Williamsburg BK. 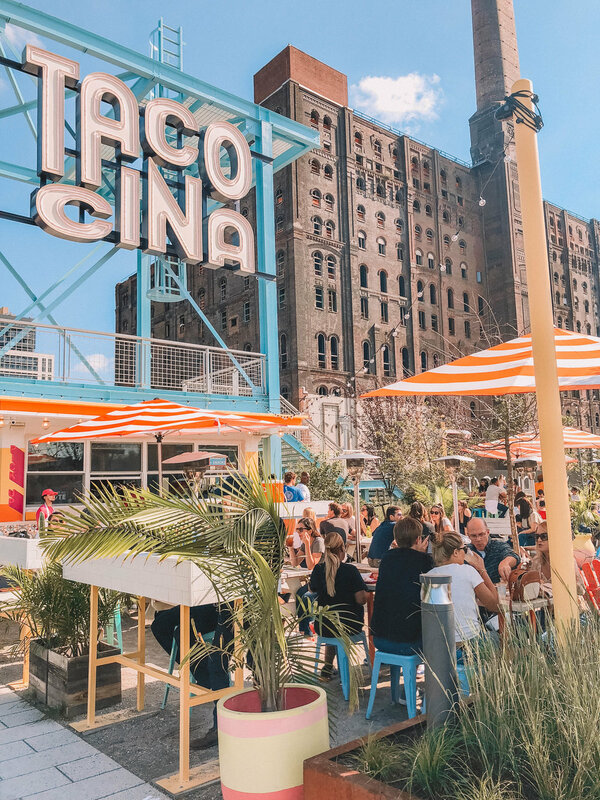 This super hip taco stand is located in Domino Park in Williamsburg! It’s right on the water and you get to look at the prettiest view of the city while you chow down on some tacos & guac! Plus how cute is the colorful decor!? The tacos were delish and everything is reasonably priced! It’s good to note that the food came fast and the line moved quickly! Tacocina, Williamsburg BK. The view while you eat! Tacocina, Williamsburg BK. Food & margs have arrived! YUM! The Turf Club at the William Vale Hotel, NYC. This pop-up turf bar has by far one of the best views of the city. They have corn hole, foosball, and plenty of bean bags for lounging! 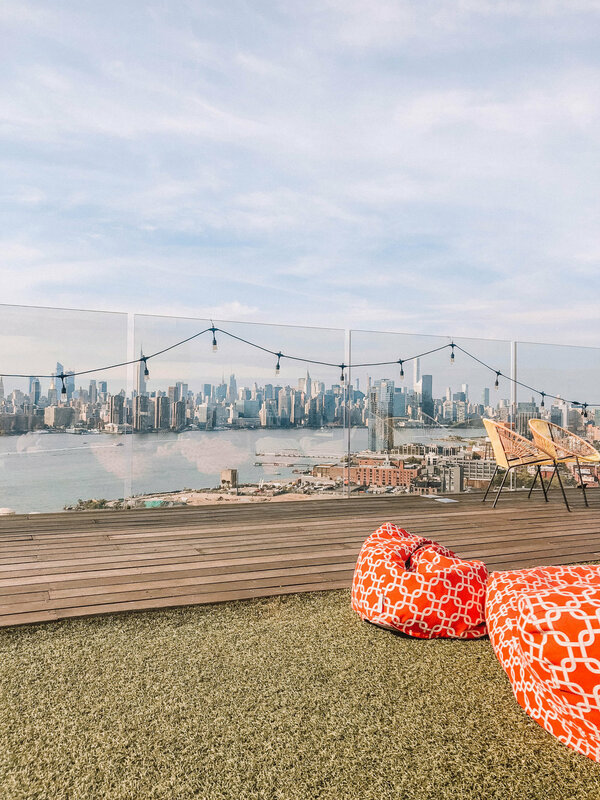 It’s $20 to enter but it includes your first drink ($14 value anyway) so really it’s like you’re paying $6 to enter and it’s totally worth it for this view! They have a really tasty Aperol Spritzes! Keep in mind this place is seasonal and I think will only be open through October 7th! Kleins, The Hoxton Hotel Williamsburg BK. This is the bar/restaurant inside the brand new Hoxton Hotel! Let’s just say we were really considering booking a room for the night. The decor is beautiful. I mean look how pretty they make their drinks! Definitely check this place out. It has outdoor seating too!